DESCRIPTION Welcome to this one of a kind retreat; a merging of inspiration and design. This 2-storey masterpiece combines artistic flare with modern sophistication. Enjoy stunning panoramic views of downtown and the Rockies, as well as the endless green space and ravine at your fingertips. 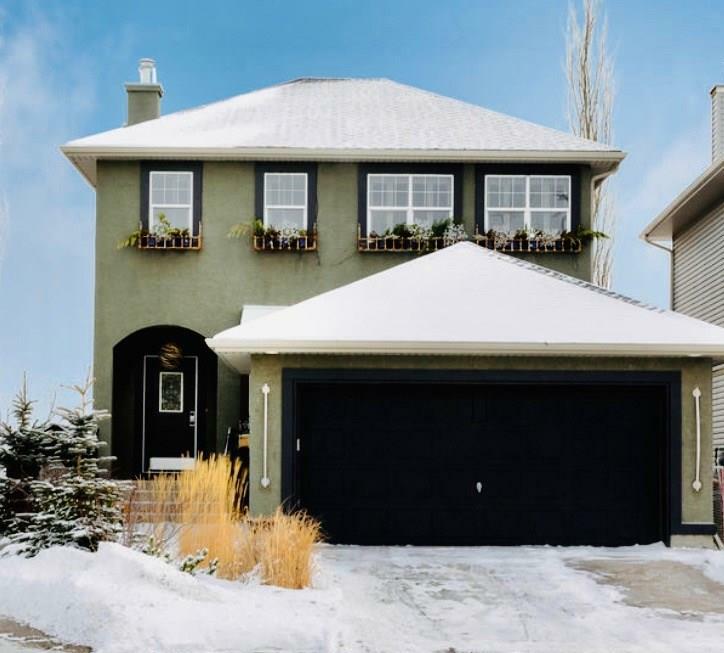 Spanning over 3200 sq feet of living space, this residence includes grand curb appeal, a warm and inviting entrance, and open concept floor plan. The main level features a custom kitchen with stainless steel appliances, large living room with cozy wood burning fireplace, office and dining area with unobstructed views and natural light. The upper level comes complete with 3 bedrooms, 4pc guest bathroom and a large master bedroom complete with a 5pc en-suite, including a soaker tub. Natural stone detailed stairs lead to the fully finished walk-out basement with polished concrete floors, family area with fireplace, and endless recreation space. Completing this level are an additional 2 bedrooms, 3pc bathroom, laundry room, and patio doors that lead outside to your own private backyard with charming fire pit.